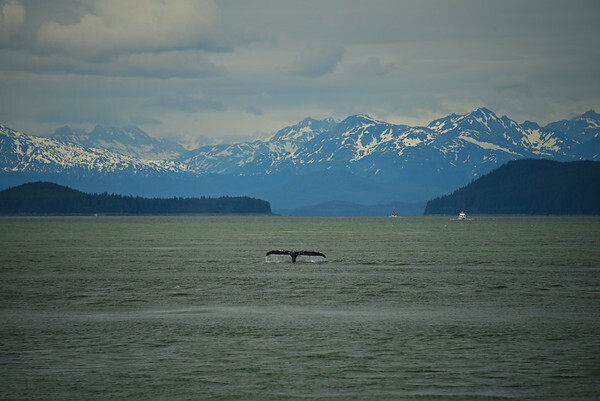 While whale watching outside Juneau, Alaska, there were enough whales around that I was able to use the mountains and trees on shore to frame photos of the whales as they surfaced. This was my favorite. It really pops on metal.